By Xah Lee. Date: 2013-08-05 . Last updated: 2016-06-08 . 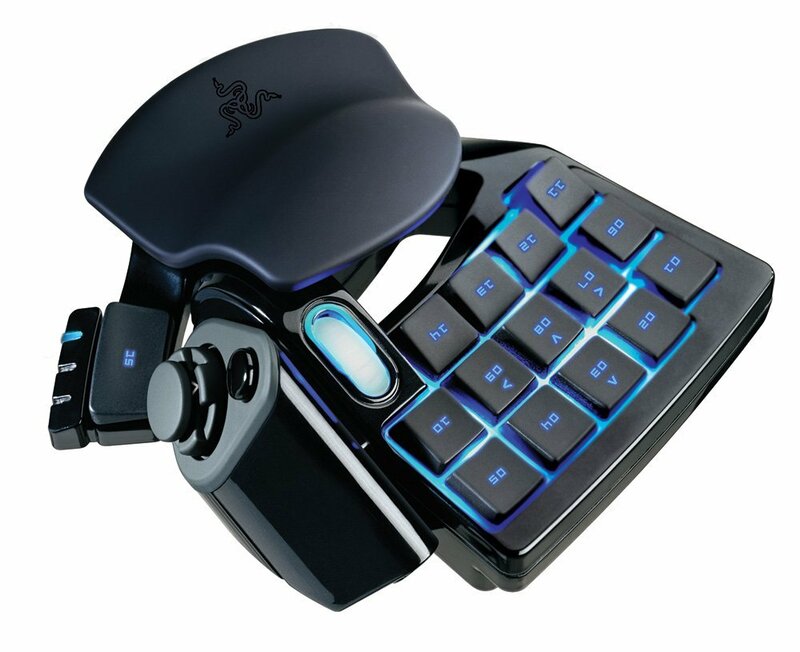 The Razer Nostromo keypad was also known as Belkin n52te, but now Razer took over this product. The Razer Nostromo is discontinued, as of 2015-06 . For a programer, why do you want this? Switch previous/next window of the same app. Switch previous/next virtual screen (in Linux or Mac). 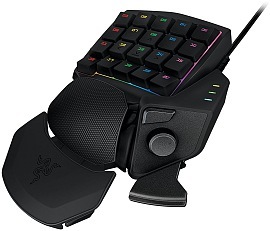 A much better gamepad, but more expensive, is the Razer Orbweaver Gaming Keypad. The directional-pad is much easier to use. The palm-rest is more adjustable than the 2-positions Nostromo, and is better designed. 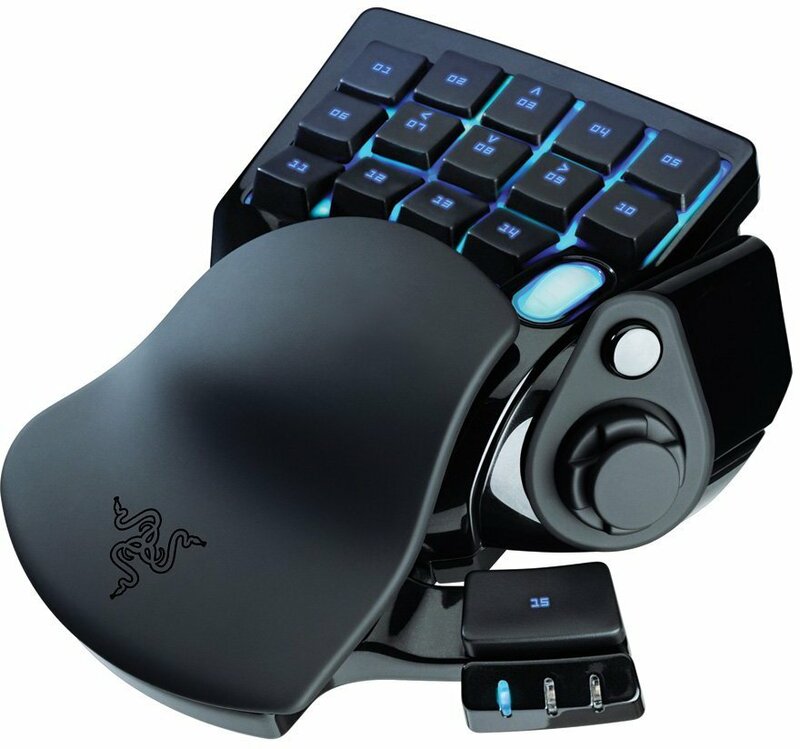 The Razer/Nostromo is often compared with Logitech G13 Gameboard. The G13 is often considered the better one by many. Here's a review by “C Cougar” from Amazon. I have used both the Logitech G13 and Belkin n52te extensively, so I thought it would be useful to write a review comparing the two products. I have used both keypads to play World of Warcraft (WoW) extensively. Typically I use the mouse to steer my character, and the keypad to do the actions on my action bar. I use the joystick to move forward, back, and strafe left and right. My hand is average to small in size. The Logitech G13 has more keys than the Belkin n52te. In fact the main reason I bought the G13 was because I ran out of keys on the n52te. 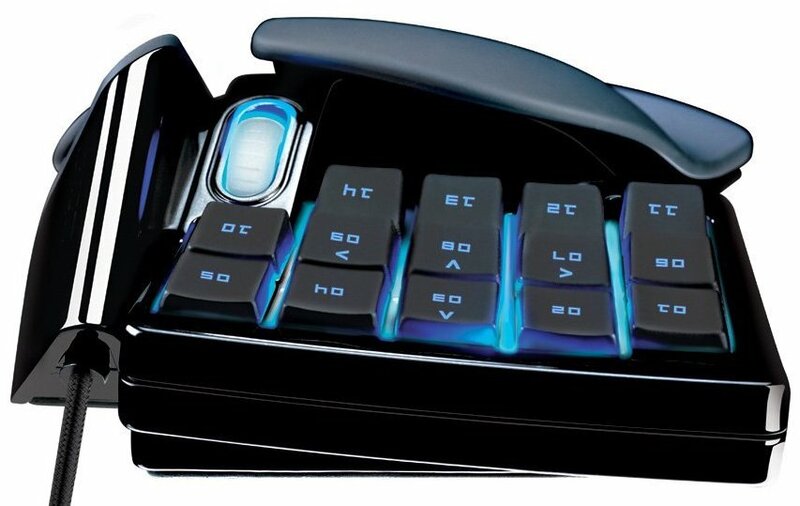 The G13 has 22 keys plus a joystick button, and two extra buttons near the joystick for a total of 25 programable items. The n52te has 14 keys, a scroll wheel up-down-click button, and two buttons by the joystick for a total of 19 programmable items. When you get advanced in WoW, the more buttons you have, the better your game will be since you can quickly do an action by pressing a button. The n52te keys are all pretty much the same shape, and the middle key has a bump on it to help you locate where you are. The G13 has the most common keys the same shape, but other keys near the edges have a different shape. I find this helpful since I can feel the key and know where I am due to its shape. The G13 all has four keys with a concave impression to help you locate where you are on the keypad. Again, I find this more useful than the one key the n52te uses with a bumb on it. The n52te has a D-Pad that allows you to control movement in 8 directions. It has an optional joystick insertion that makes it feel more like a joystick. When playing WoW, I actually only used 4 directions, and disabled the corner directionals, since it was too easy to go the wrong way by mistake. With just 4 directions (forward, back, strafe left, strafe right), it was easier to use. The G13 has a small joystick which allows you to control 4 directions. Comparing the two, I think the G13 is much easier on the thumb than the n52te. After hours of play, and days of gaming, this makes a big difference. The G13 moves much easier and with less effort than the n52te. The G13 also pivots more naturally, so it is much easier to switch directions with less effort. The only thing I don't like about the joystick is the joystick button is very hard to press. I feel that the n52te actually promotes carpel tunnel syndrome in the way its designed. The problem is that it forces you to bend your wrist upward so that you are continually putting stress on those tendons. The palm rest does not help, as it simply forces this bad wrist orientation. In order to use the n52te without pain, I actually had to prop up my elbow on some books so that my wrist could be in a more natural position. The ergonomics on the G13 are far superior than the n52te. The way its designed it allows you to keep your wrist in its natural position, as when you are typing, without having to bend it upward as in the n52te. I can use the G13 continuously for hours upon hours with no discomfort at all. The G13 comes with a LCD display, which the n52te does not have. At first I thought I would not use it much, but now I find it to be a helpful addition. For WoW, it shows your characters stats as well as other things such as your equipment durability, so you know when it is time to repair. On battlegrounds it shows stats like how many players on each side, time elapsed, deaths, killing blows, and honorable kills. The LCD does other stuff too when you are not playing the game (time and date, cpu usage, stopwatch, rss feeds, music info, etc). So I think it is a nice bonus. I found both units really easy to program. It is very easy to assign any keystroke or key combinations or macros to any key on the keypad. Overall, I would say the Logitech G13 is superior than the Belkin n52te and would highly recommend you buy the G13 over the n52te. My feeling is that the G13 is the next generation of keypads with all the best features, while the n52te is the old generation of keypads which has now been surpassed.